Your loved one’s health is your top-most priority. Nothing seems more important than heart health especially when the season of love is at its peak. When we talk about heart supplements, how can we forget arguably the most well-known coconut oil? There is no denying that Valentines classics like gifts, perfumes, a romantic date, and champagne are invariably the first things that come to many minds. However, thinking about out-of-the-box options can be really exciting yet appealing. Famous American poet Maya Angelou once said, “If you have only one smile in you give it to the people you love.” What if you could give your loved ones more than a smile? Just like a kiss can make you feel young, coconut oil and MCTs (Medium chain triglycerides) can keep you as well as your partner’s heart young and healthy. Continue reading to explore more science-backed facts about coconut oil and MCTs, and how they can help the heart health young even after the Valentines fever is over. These Science-Backed Reasons Make Coconut Oil An Amazing Valentines Gift. No doubt, the refreshing smell of coconut oil is its USP. But when you think beyond its appealing scent and skin-softening properties, you will open yourself to a new world of incredible health benefits, most notably, the heart-healthy properties. After all, Valentines is all about the matters of the heart and soul. According to a 2015 study published in the journal Nutricion Hospitalaria, extra-virgin coconut oil can be an effective nutritional approach to increasing the “good” HDL cholesterol as well as managing weight among patients with coronary artery disease (CAD). CAD refers to a condition when sticky fats deposit inside the walls of the blood vessels that supply oxygen-rich blood to the heart muscles. Untreated CAD can lead to high blood pressure, heart attack and abnormal heartbeats. This study result supports a 2009 study which found that a regular intake of coconut oil reduced the blood levels of “bad” LDL cholesterol and boosted HDL levels. Consider buying a high-quality coconut oil supplement like Lumen Naturals Coconut Oil softgels. Protect your hearts so that they can beat longer and together. Just make sure to wrap the supplement container in an attractive gift wrapper so that your beloved will fall for it at the first sight. You would probably not ask for more when you have a beautiful body that has a loving heart inside. It might seem counterintuitive that how can fats make you lose those extra layers of fat? But, numerous studies have shown that MCTs found in coconut oil can work wonders to aid your weight-loss efforts. First, MCTs increase the amount of fat that your body burns during the metabolic processes. Second, MCTs reduce appetite and give you a feeling of fullness so that you become less likely to binge on your favorite foods. Since obesity and heart health are closely linked, losing even a few pounds can provide a great relief to your heart and improve its function. Coconut Oil Contains Powerful Antioxidants That Protect Your Heart. 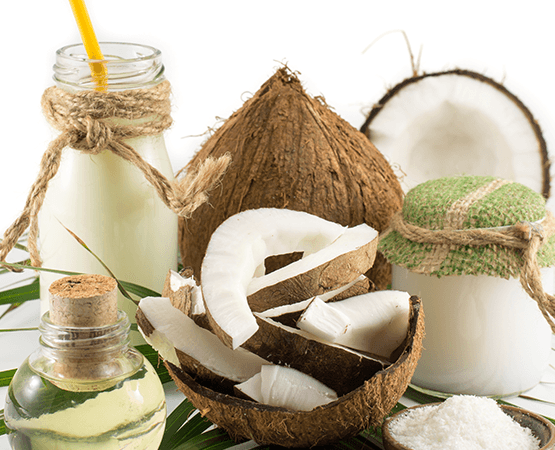 Coconut oil is a rich source of polyphenols which are one of nature’s most effective antioxidants. It is increasingly becoming clear that oxidative stress on the cells damages cellular structures, promotes chronic diseases like diabetes and heart disease, and accelerates aging. Sadly, nothing can keep you fully protected from oxidative stress as it is a natural process in your body. However, you can reduce it by taking a balanced diet, utilizing certain supplements, quitting smoking and taking alcohol in moderation. A 2018 study published in the journal Avicenna Journal of Phytomedicine suggests that polyphenols in coconut oil can boost your body’s own antioxidant defense mechanisms and thus reduce oxidative damage to your heart. Certainly, coconut oil has a myriad of health benefits because of its high content of MCTs, polyphenols and other healthy substances. However, make sure not to take more than the recommended doses. If you are considering to take a coconut oil supplement, make up for the increase in daily calorie intake by cutting down on other dietary fats. Also, choose a high-quality supplement that lives up to its promise and doesn’t risk your health. Lumen Naturals COCONUT OIL is pure coconut oil manufactured at an FDA Registered, GMP Certified laboratory in the U.S.A. 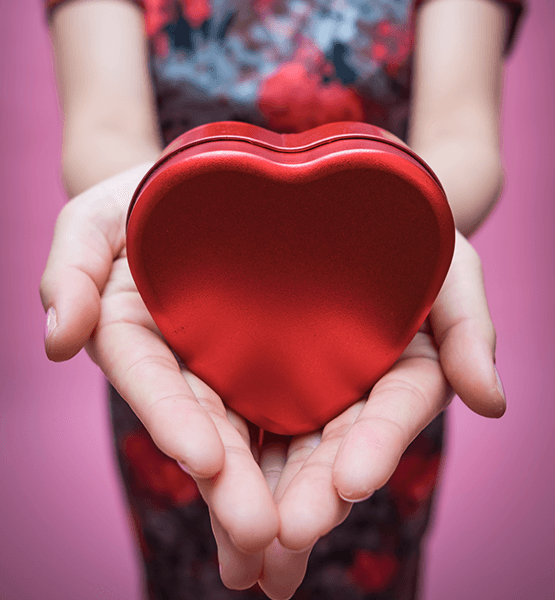 Enjoy this Valentines with Coconut Oil and see how it will benefit your heart!